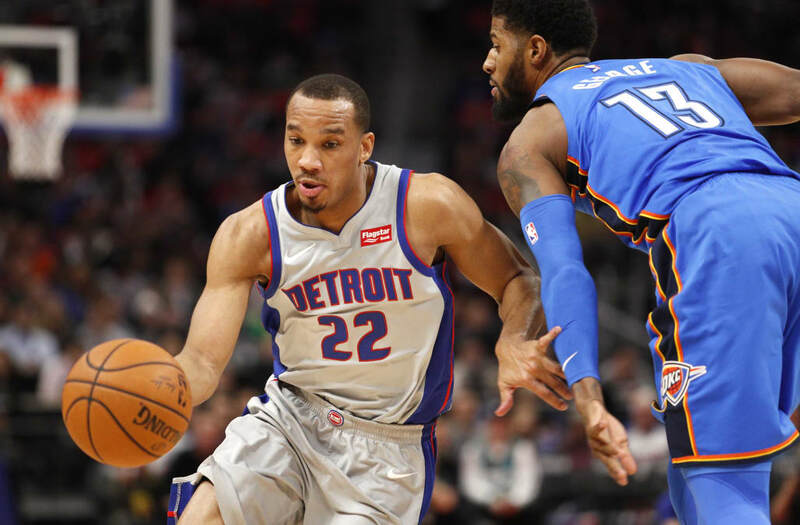 The slumping Detroit Pistons are making starting shooting guard Avery Bradley available in trade talks, league sources told ESPN's Adrian Wojnarowski. Bradley, 27, is scheduled to become an unrestricted free agent this summer. He is in the final season of a four-year, $32-million deal and could command in the $20 million annual range in free agency. His expiring contract has fueled speculation that he will be made available before the Feb. 8 trade deadline. "They got to do whatever's best for the team just like I would do whatever's best for me," Bradley told the Detroit Free Press after Sunday night's 121-104 loss at the Cleveland Cavaliers. "That's simple." Bradley has been bothered by a groin injury, which caused him to miss seven straight games earlier in the season. He sat out Sunday's game. The Pistons (22-26) have lost eight straight games and 12 of their past 15 since point guard Reggie Jackson went down with an ankle injury. They have fallen three games out of the Eastern Conference playoff chase. The Pistons acquired Bradley in a July trade with the Boston Celtics. Bradley has struggled since Dec. 1, shooting 32.7 percent from 3-point range and 36.8 percent from the floor over that time span. For the season, he is averaging 15.0 points in 40 games.